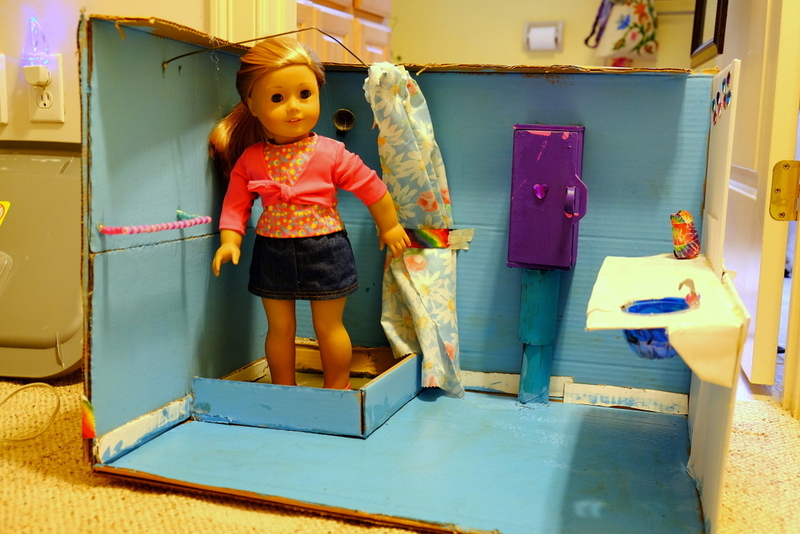 Handcrafted Bathroom, With Shower, For ‘American Girl Doll’ By Teischan (10). Doing crafts is Teischan’s second love in life, watching videos/TV her first. Actually what she really likes to do is work on crafts while watching videos on YouTube (on her pad). She likes doing large pieces. Since last fall, as I have chronicled here in pictures (i.e., furniture, fireplace, Christmas), she has been building elaborate ‘sets’ for her two American Girl Dolls. 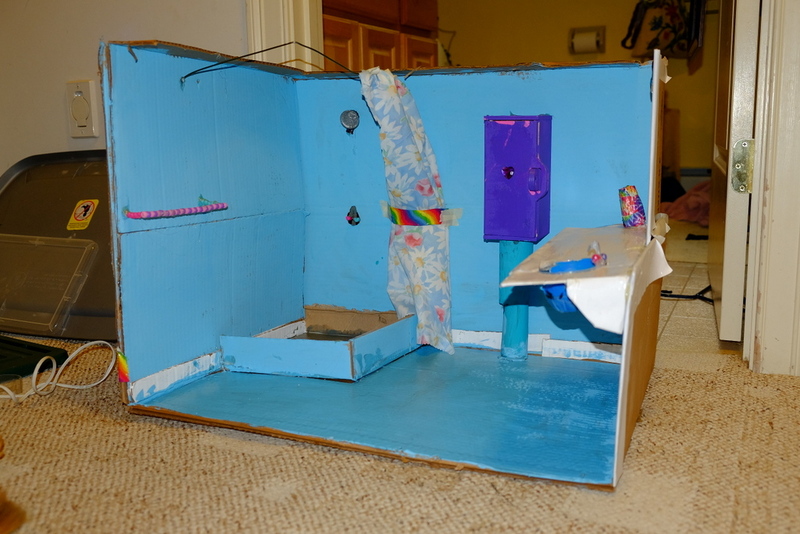 Yesterday, i.e., Sunday, she built this bathroom — all by herself. 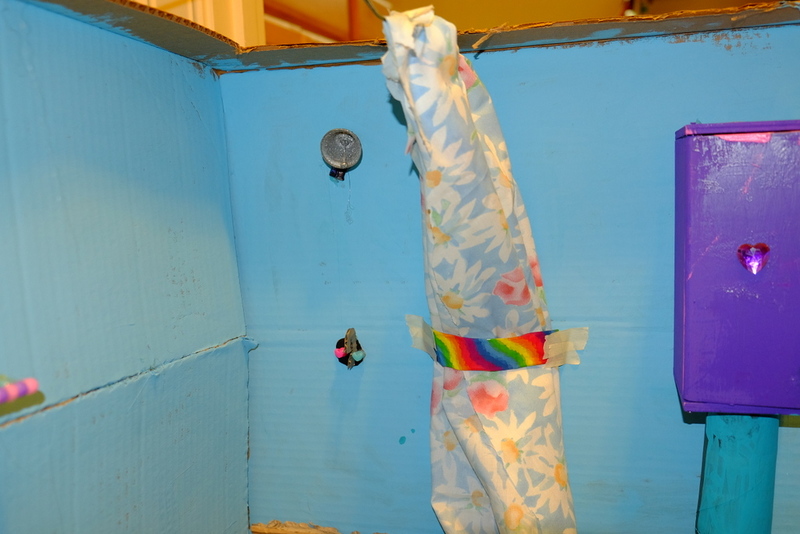 Check out the shower — with showerhead and controls. I am encouraging her to go into business. Make ‘sets’ on order for other kids.